We are looking for great candidates with a growth mindset for our Management Trainee program . The aim of the program is to recruit young talent to Schibsted and qualify them for key positions in our companies! At Schibsted you can contribute to empowering people in their daily lives – whether that means helping people sell or buy second-hand items, compare prices or loans, or stay informed through our newspapers. As a Schibsted Trainee you will constantly be given new challenges, both through your placements and through professional gatherings. 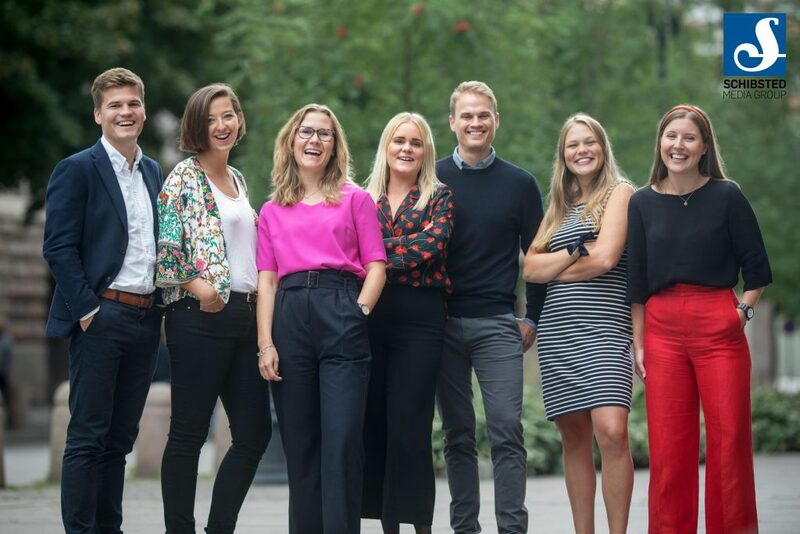 You will be assigned four different placements, each lasting six months, with different roles throughout the many Schibsted companies.You can work with strategy, product or project management, marketing, or finance – as well as taking on more operational tasks. For example, you could be a business developer for an online marketplace, a product manager at a newspaper, a technology trend analyst or startup investment spotter, or a business analyst with a growth company. The opportunities are endless! HELP US EMPOWERING PEOPLE IN THEIR DAILY LIFE. The candidate has to be a citizen of a country within Schengen area. Applications must be completed with transcripts of grades from high school-level and onwards. Please apply for the position in English. We collaborate with cut-e on this recruitment process therefore you will receive tests from them after the deadline. What are you waiting for? The deadline is on November 25, Apply here. Please don’t hesitate to reach out to us if you have questions.